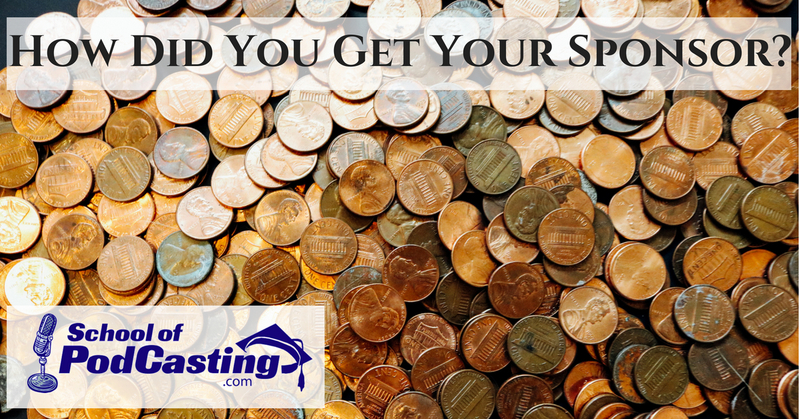 How Did You Get Your Sponsor? Today in episode 620 you will learn two strategies to grow your audience and your subscriptions and you will learn how other podcasters got podcast sponsor. Keep in mind, if you are doing a show for fun, you can do a podcast with no intention of making money and that is 100% fine. I see podcasters who are now choosing media hosts based on their host's ability to get them paid. New media hosts are popping up selling Dynamic Ad Insertion. This is not where you do a host read advertisement. This is where you have ads that that sponsor often had recorded, and then insert them into your show (you pick where they appear). In my example, the recorded ad was at a much lower volume. [1:50] Mark Miller from the Repurpose Your Career shares how his podcast was featured in an actual paper Magazine, but not only a Magazine AARP. Now one might think that podcast listeners are not reading AARP but it turns out some of them are and now his numbers have taken a sizable jump. So the lesson here is you never know what will bring you more listeners. [5:15] Way back on episode 474 of the School of Podcasting Glenn “the Geek” Hebert (of the Horse Radio Network ) made his first appearance and explained how he had gone to trade shows. Elikqitie from the Travel Gluten Free podcast tried this, and while she didn't get the booth for free (she did get it at a reduced rate). She had tons of interviews and grew her network. One company emailed her after the conference and reached out to be interviewed. Another boost came when someone she met at the event shared an image of them on Instagram and she could see where this was adding to the number of downloads for that episode. Then another contact from the event asked her to host a webinar they are running. 16: 02 Did you know if you have an iPhone you can say, “Hey Siri, Subscribe to the (name of your show ) podcast” and she will ask you to confirm your decision and the subscribe to your show in the Apple Podcasts app. You can do this on Facebook live and share it with your audience. Win Charles from “Ask Win” does plan on starting a podcast after she graduates from College in 2019. [20:47] She did have a sponsor who found her. [27:34] Luke from the Triangle Tactical Podcast (about competitive shooting). His first sponsor fit his niche and sells bullets for competitive shooting. He got them as a sponsor by reaching out and asking, “Would you like to be a sponsor of my show?” and they did. The second sponsor came to Luke and asked to be a sponsor. They have a competitive shooting related business. [29:55] Matt Rafferty from the Author Inside You podcast (where he interviews first-time authors) and he kept getting approached by a book agent who wanted to have his clients interviewed. Matt worked with the agent to sponsor the show, and now interviews his authors. [31:14] Hilda from the Wise Traditions podcast a podcast for the Weston A. Price Foundation and its Wise Traditions diet and principles. Hilda is looking to create a health-related show in Spanish. She needs a Spanish speaking editor (I suggest Niel Guilarte from Wildstyle Media) . She thought she had a slam dunk as the Wise Foundation already has a publication and Hilda thought the sponsors of the print version would be an easy slam dunk for the digital version, and so far that has not been the case. [35:23 ]I don't plan on adding more shows (I just added the History of Six Shooter), and I may be retiring the Alexacast (as Amazon fired me from the associate's program). If you are looking for sponsorship and you aren't getting the 5,000 download per episode, try contacting True Native Media who found a few sponsors for me. My latest sponsor approached me directly. I've been taking sponsors as I'm working up an updated version of the Book More Podcast Money. Most sponsors want at least 5000 downloads per episode after 30 days (monthly stats are worthless). Only about 10% of most podcasters get these kinds of numbers. A new trend is Dynamic Advertisement or Dynamic Ad Insertion. This is where you can go in and have ads inserted at the beginning of your show (pre-roll) at the end of your show (post-roll) and somewhere in the episode (midroll). When I take to people who had non-dynamic ads, they are getting paid somewhere between $20-$50 for one thousand downloads (known as CPM). With Dynamic Ad Insertion, it is much muss less. With one company I had 53 ads shown and made .0164 that means I'm making .000309 per download or .31 per 1000 downloads. I tried a new service and I had 1824 ads and earned $.280 that is .00154 per download or $1.54 per thousand downloads. While $1.54 is much better than .31, it is still hideous. 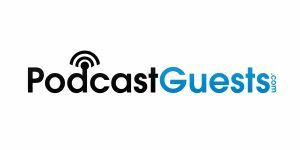 In past, I had a podcast that had a flat rate of $90 per episode. I would have to have 58,441 downloads to equal $90. So while people that sell dynamic ad insertion will tell you that you make money selling you back catalog forever, it might just take forever to make the same amount of money that you do where you are paid for your value. 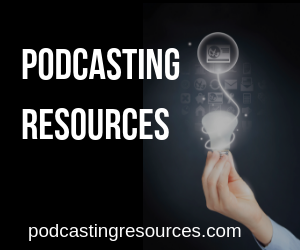 I would love to work with you to help you plan, launch, and grow your podcast.